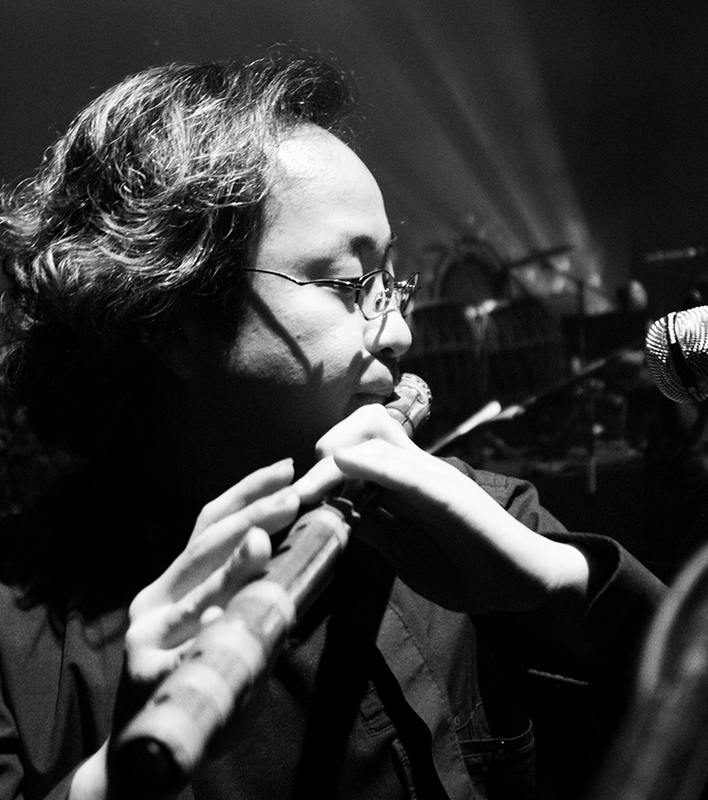 Han Chung Eun is a Korean musician who plays traditional bamboo flutes, Daekeum and Sokeum. Trained in the tradition of classical court music of Korea that traces its origin back to 5th ~6th century, Chung Eun pushes the boundary of Korean bamboo flutes, Daekeum and Sokeum to cross over the genre and brings the acoustic and soulful sound of bamboo flutes to today’s audience. Chung Eun’s debut album <Morning> is the first of its kind to win a wide range of audience across different age groups. 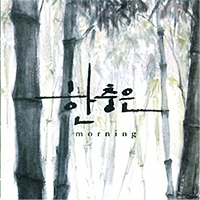 While still deeply rooted in the tradition of Korean music, title music “Morning” won the acclaim of both music critics and music lovers its simplicity and originality. Well known by his eclectic repertoire and wide range of musical style, Chung Eun performed and collaborated over the years with renounced artist such as Bobby McFerrin, British Guitarist legend Martin Taylor, Swedish jazz guitarist Ulf Wakenius, Vocalist Inger Marie, and Composer and Pianist Ryo Kunihiko. In his latest album <Forest> Chung Eun collaborates with Korean Jazz guitarist Sam Lee, British jazz guitarist Martin Taylor, Swedish jazz guitarist Ulf Wakenius and the Real Group, a cappella group from Sweden in a contemporary interpretation of Korean Court and folk music through serene & soulful sound of bamboo flutes and modern instruments. The title music The Starlight Forest is re-interpretation of Yemin Rak, a song of unification, originally compiled by Sejong the Great to share and enjoy with his people in 15th Century. Chung Eun’s recent performance includes the historic inauguration of Park Geun-Hye, the first woman to be elected as President in South Korea, 2013 NYC Winter Jazz Festival with Sunny Kim, Opening Ceremony at 2013 Busan International Film Festival, and 2014 Sochi Winder Olympics Closing Ceremony. Chung Eun also recorded various movie soundtracks to his credit; War of Arrows (2011), Portrait of Beauty(2008), Beyond the Years(2007), Spring in my Hometown(1998), crocodile(1996). The daegeum, a representative Korean transverse flute, is also known as the jeotdae, which was one of Silla’s samjuk (three bamboo flutes). According to Samguk sagi, when a bamboo flute made from a bamboo tree from the East Sea region of Korea was played, the enemy withdrew, the sea was pacified, and disease and drought were ended. This flute was called a Manpa Sikjeok. The daegeum is made from hwangjuk or ssanggoljuk (types of bamboo) and consists of a mouthpiece, cheonggong, six jigong, and a chilseonggong. It has a wide tonal range spanning 2 octaves 4 scales, and is played according to one of three methods: jeochwi, pyeongchwi and yeokchwi. As the daegeum has a fixed pitch, other musical instruments use the daegeum (8th sound-imjong) for tuning. Vibration of the cheonggong with a reed membrane produces a change of the dynamic timbre and adds a strongly appealing, exciting sentiment to its unique, clear, flexible timbre. There are two types of daegeum: the jeongak daegeum is used for court music and jeongak, while the sanjo daegeum is used in folk music. Han Chung-eun is an up-and-coming young musician who’s also a member of the KBS Traditional Music Orchestra. We often refer to a person who is competent in many areas as Jack of all trades. Well, Han is just that. He is the young Da Vinci of Korea, for he has friends in literary circles, pop music, art, jazz, and film, and incorporates the knowledge and experiences gained through his personal network in his music. As a result, his music has a depth and breadth unusual for a Korean traditional musician. His musical aspiration was born during his teen years, when he heard daegeum on the radio, and was captivated by the sound. He went on to major in daegeum at the Gukak National High School, where he used his people skills to expand his circle of friends and learn about many different disciplines. His friends included some pop musicians, leading him to play his daegeum with pianists and jazz musicians. The combination of east and west won him acclaim from the audience and that’s when he became interested in fusion music. Since then he had played in Seulgidoong, a long-standing group of young traditional musicians, and fusion rock band Eurasia’s Morning. He also played the main title piece of the award-winning film director Kim Ki-duk’s debut film “Crocodile,” and took part in the original soundtracks of films such as “War of the Arrows,” “Beyond the Years,” and “Portrait of a Beauty.” He has partnered up with such world-renowned artists as Bobby McFerrin, Inger Marie, Kunihiko Ryo, and the Swedish a cappella group, the Real Group. Accompanying Han’s musical growth was sogeum. Here’s a piece called “Balloon in My Heart” with Han Chung-eun at sogeum and Kwon Jeong-gu at guitar. 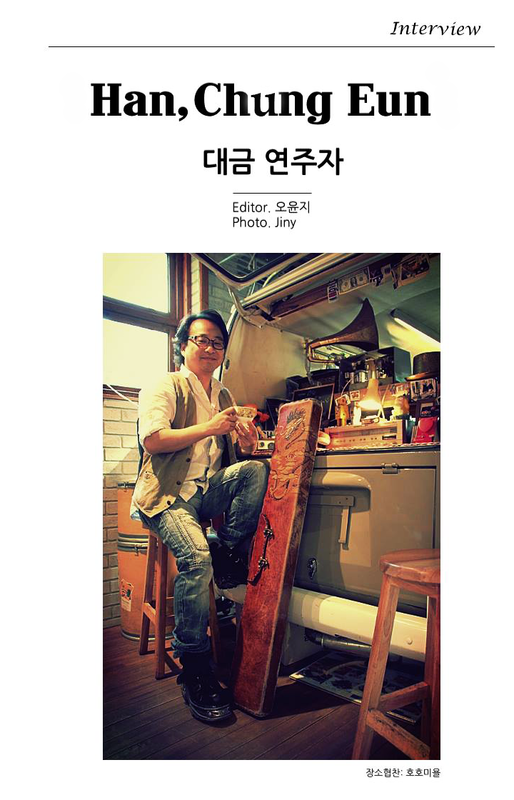 Renowned Korean jazz artist Shin Kwang-woong spoke of Han Chung-eun as a musician who has the complete package – passion, good work ethic, an adventurous spirit to try out new disciplines, and humility. Shin had met numerous musicians in his attempt to fuse jazz and traditional music, but none had impressed him as much as Han Chung-eun. Since Han is still young and has years to go in his musical career, we hope to see him make a mark in various fields other than music.